Please make an appointment to view the fabulous Sophia Tolli line at our Salon. 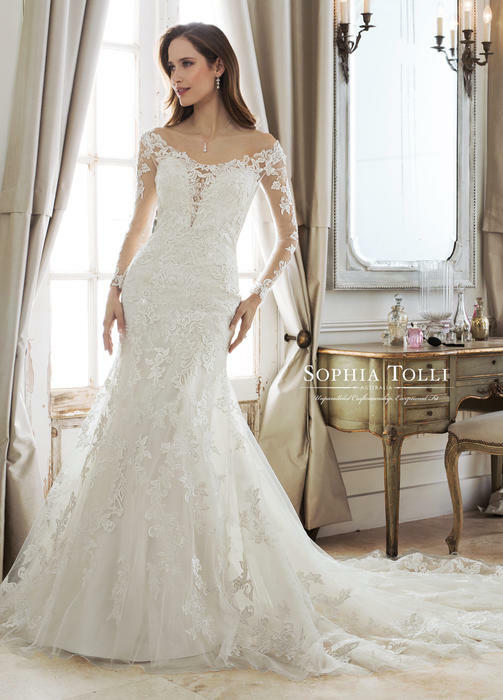 Sophia Tolli sells in the $1,500 to $2,500 price range. Agreements with the manufacturer prohibit online sales of this line. Bridal showings are by appointment so make your appointment today to see the Sophia Tolli Bridal collection.